Two nights ago, a horrendous tragedy took place in the beautiful city I've had the honor to call my home for the past year. Please take a moment this weekend to pray for the victims, their families, and everyone affected by this act of senseless violence. So horrible. I'm so happy you guys are safe and that they caught the guy. Definitely praying for the families and everyone else involved. Stay safe love. I can't even begin to say how sad this makes my heart... praying for your city. So terrible, I still can't believe it. Many thoughts and prayers for your city and everyone down there. Unbelievably sad! Been thinking about you guys over there! Such a horrible tragedy! Prayers for all affected. :( It just breaks my heart. So heartbreaking - what a testimony for Christ to see how the family, friends & community have responded. 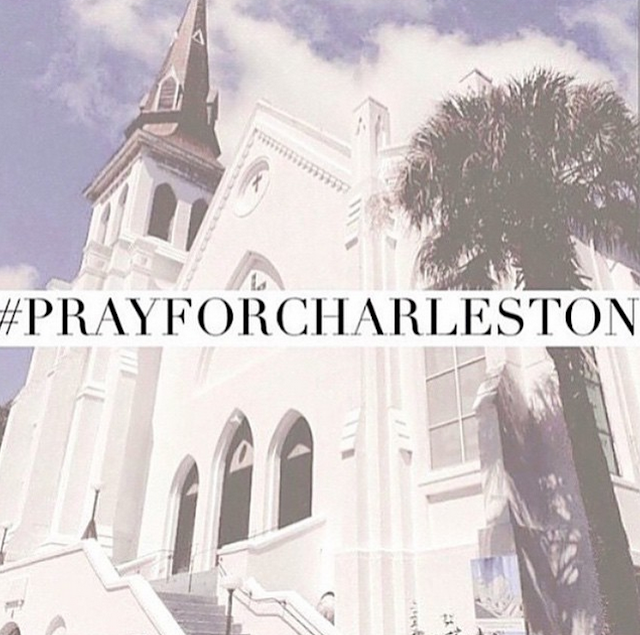 Praying for Charleston!